Vintage Frames Company Dice Love/Hate - Matte Black and Gold Need Help? The Dice is inspired by Andrew Dice Clay and classic low rider styling. 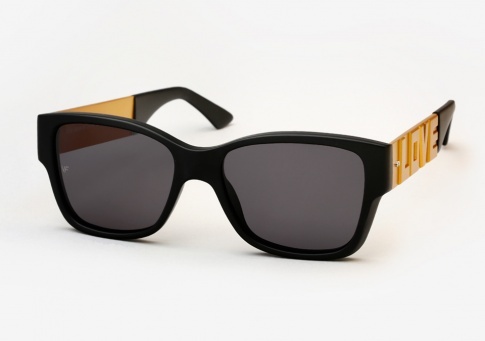 It fuses a timeless shape with brash old-school gold temples which chronicle the opposing forces of Love and Hate.